Your movie Zombie Hood - in a few words, what is it about? 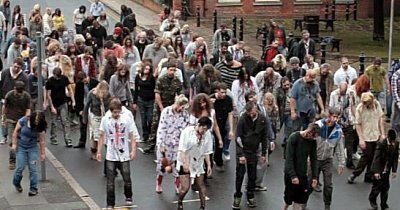 It's about how people would manage without the internet ... but seriously, it's really about the fact that people would be the main danger in a zombie epidemic, not the undead. Basic question, why a zombie movie, is that a genre you're at all fond of? And with all the zombie movies hitting the big and small screen lately, what do you think makes your film stick out of the crowd? I grew up with Hammer horror films and when I first saw Plague of the Zombies, it stuck out from the other types of creature features being shown at the time. I then became a fan of zombie flicks with George Romero making a huge impact on my viewing pleasure. For me, a good zombie film isn't about the blood, gore and horror, it's more to do with the impending doom and there being very little chance of a happy ending. What were your inspirations when writing Zombie Hood? And do talk about your co-creator Pedram Karimfazli for a bit? My inspirations were quite simply my love of the genre. With Pedram I had the perfect person to bounce ideas off and although we penned most of the film together, we ended up changing it about 50 times in total. From a director's point of view, I'm a strong believer that actors shouldn't require too much direction as they should already be able to act. I like to plant a seed, give them the character's back story and personality and then let them be that person in the film. I ask them, "What would your character do in this situation" and will often alter the script based on what they feel their character would do or say. So, although the start and end of a scene will remain the same, the middle can be dramatically altered by the actors. 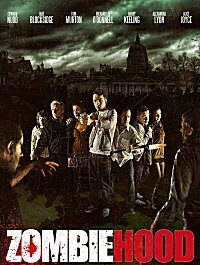 Despite its rather gloomy subject matter, Zombie Hood does have its spots of comedy - so what can you tell us about the movie's brand of humour, and do you consider yourself at all a humourous guy in your private life? I see the funny side of just about everything and I guess I tried to bring some of that into the film. Using Rik's character, I feel that we managed to inject just enough humour without turning the film into a comedy. Of course, no zombie film without some blood and guts - so do talk about Zombie Hood's gore scenes for a bit, and was there ever any line you refused to cross? For me, good horror isn't about what you see; it's what you don't see that creates the terror. However zombie films require a degree of gore to please the fan base so we put in as much as we could. Jayne Hyman led the effects team and done a great job with the zombies, something that helped raise the production value of the film. I won't include gore for gore's sake and prefer shock tactics to slasher type filming. The imagination is a wonderful thing, so I feel it's important to allow the audience to imagine what's happening some of the time. 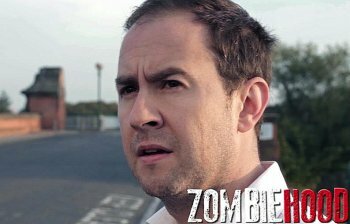 We actually found it fairly easy casting Zombie Hood as I knew what I wanted and although we made a couple of early changes, I was really happy with the final cast line up. Dermott's role was re-cast with Edward Nudd after the first shoot though, as I felt the original actor wasn't quite right and didn't have the rapport with Tom Murton's Sam. Jade Blocksidge (Candi) auditioned for a minor role, as did Alexandra Lyon (Kelly); however both impressed and were offered much bigger parts in the film. We had to make a few script changes due to weather conditions and unavailability, so some characters were written into certain scenes and removed from others. Everyone said it was like being with a family on set, feeding on donuts to keep energy levels up and simply enjoying it. Even some of the very early starts in cold wet conditions didn't dampen the atmosphere. We encountered problem after problem, especially with the ever changing weather conditions, but met them all head in and got through it. A few words about audience and critical reception of Zombie Hood so far? 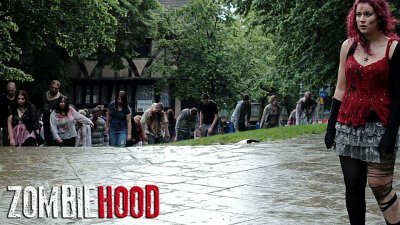 With Zombie Hood being a very low budget film, and this shows in places, I expected some fairly negative reviews having seen what had been said about other movies with a similar budget, so the reaction we've had so far has been truly amazing. 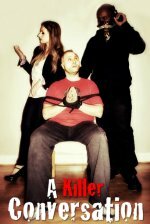 After it was chosen to be shown at the UK Zombie Film Festival, I actually didn't go into the theatre as it was being watched by hard gore genre fans. If it bombed, I didn't really want to be on a downer for the rest of the day, but half way through the film, the producer came out and told me to come in as the reaction was amazing. People were laughing, cheering and really enjoying the film. The cast members who attended the event were being asked for autographs and pictures, so we all got quite a buzz, which for the cast and crew, was well deserved for all of the hard work they put into the film. 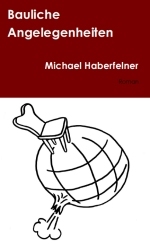 You are presently in pre-production on a sequel for Zombie Hood, right? So what can you tell us about that one, and any other future projects you'd like to share? We�re two weeks away from filming the first scene for Zurvival, a TV show that basically starts one year after the initial zombie infection takes hold. Although I wrote scene 1 of episode 1, the first 6 episodes are being put together by an amazing script writing team who have really captured the mood of what I want to film and direct. Zurvival follows Candi, the only survivor from Zombie Hood, but her character has developed into more of a Robin Hood-type persona with an evil streak. The whole concept actually takes the legend of Robin Hood, rather fitting as it�s being shot in Nottingham, and moves it into more of a modern day surrounding. I can�t give too much away at the moment, but it�ll be dark, it�ll have zombies and a developing storyline with a few twists and characters that will hopefully pull in an avid audience. I started making short films when I was 14 years old, on an old Super8 cine camera. Basically I was self-taught, learning the art through going out and filming on a daily basis, learning about shot types, lenses and how films piece together in an edit. I now teach filmmaking to college students, but I�m still learning something new every day. What can you tell us about your filmwork prior to Zombie Hood? 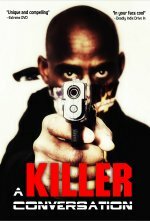 Prior to Zombie Hood I had made lots of short films, done a fair bit of corporate work, made a few documentaries and spent a lot of time editing other people�s footage. I like to see everything on set, but ideally want to spend the majority of my time with the actors. For Zurvival, we�ve built a fairly strong team with everyone taking responsibility for their roles, which allows me to trust in their ability. I still have the final say, but I believe that trust is very important and as long as everyone is on the same page, the end product should be my vision. I�m a big fan of Romero, Tarantino and the Coen Brothers. The original Dawn of the Dead, Spartacus, the original Get Carter and Harry Brown. I hate �found footage� films! The Blair Witch Project and anything shot like that turns me off big time. At the moment, I�m all over Zurvival and spending a fair bit of time teaching film. I�m also in the process of building my own studio for prosthetic and SFX work as I�m a big fan of practical effects as opposed to CGI. The Zurvival website is located at www.besthayes.co.uk and we also have a Facebook page for Zurvival although it�s still under the original name of �Survival�. 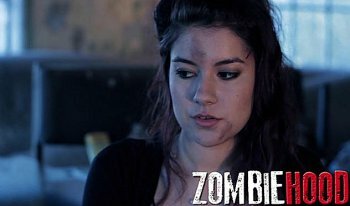 The script writing team changed the name to allow the addition of a Z for zombie.